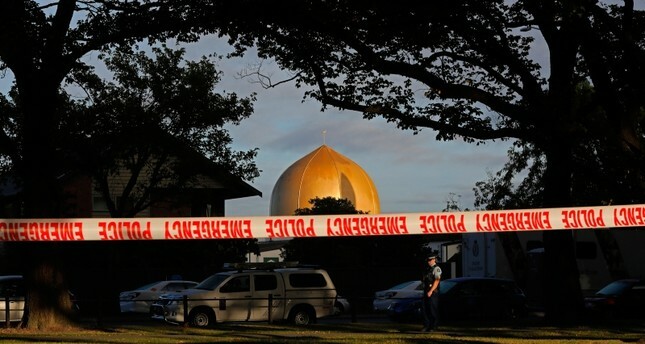 The Western media's biased coverage of the recent terrorist attack on two mosques in New Zealand, where 50 Muslim worshipers were ruthlessly killed by Brendon Tarrant was criticized by an Australian journalist, who highlighted that the descriptions of Muslim and non-Muslim perpetrators are significantly different even if they commit the same crimes. In a video published on the SBS, Australian TV presenter Jane Fran compares the coverage of the Christchurch attack and the Orlando nightclub shooting. "Imagine being a Muslim and waking up to a headline that describes the person who's just killed 50 of your fellow Muslims as 'Angelic boy who grew into an evil far-right mass killer," Fran says in the video, in reference to a headline by the Daily Mirror. She continues by noting that the same paper referred to the Daesh terrorist who killed 50 people at an Orlando nightclub in 2016 as "ISIS maniac kills 50 in a gay club." Fran highlights that the two headlines were used for similar crimes and a similar death toll. While the Mirror shows a childhood picture of terrorist Tarrant being held by his father, the other "a narcissistic man in all black." None of the headlines mentioned any of the victims, she says. Meanwhile, Fran touched upon other papers which highlighted Tarrant's childhood, his father's death as a result of cancer and his working-class roots. Yet others highlighted that the terrorist loved violent video games, with no mention of his manifesto, which calls for the elimination of Muslims. "It's easy for us to say that Muslim terrorists come from an inferior culture, a violent religion, a broken society that they're full of hate! But we can't really say that about the white ones," Fran says and adds: "because to do so would be to say we're just the same, or we had it wrong about the brown ones the whole time."